Visit our photo gallery to see the stunning results from some of our patients. The dental problems you have today can end with Teeth Tomorrow. This procedure is life-changing and can provide a permanent solution to your major dental problems. At the Cosmetic Dentistry Institute, our dentists in Troy, MI, provide every phase of general dentistry with the same passion, gentle care and dedication to excellence that we bring to our more complex procedures. From state-of-the-art diagnostic instruments that detect cavities before they can be seen on traditional x-rays and thorough cleanings to tooth-colored restorations that disappear in your smile, we offer the care you need to keep your teeth healthy and strong. The Cosmetic Dentistry Institute is your source for premier cosmetic, implant, restorative, and sedation dentistry and unparalleled patient care. 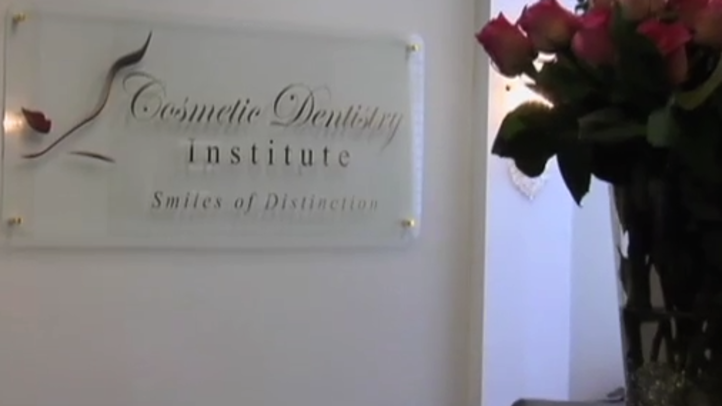 At the Cosmetic Dentistry Institute in Oakland County, we truly care about our patients. We designed every detail and amenity in our office with our patients in mind. When you come to our dental office, you will receive superior cosmetic dental care in a friendly, spa-like atmosphere. Our comprehensive dental treatments and procedures are customized to address the individual needs and goals of all of our patients. Explore our areas of expertise to find the treatment that is right for you. Our office features the latest in dental technology, which allows us to provide superior care and a more comfortable patient experience. We are able to offer one-day porcelain crowns, fillings and veneers, thanks to our in-office CEREC® milling machine. We also use digital X-rays, which produce more detailed images while exposing patients to 90% less radiation. Teeth Tomorrow® is a life-changing procedure that can provide a permanent solution to your major dental problems. Teeth Tomorrow can provide a permanent, natural looking teeth, custom-made to your personal requirements. You never have to take them out. You brush them just like normal teeth, and you can eat and smile with confidence.